Exploding onto the scene like no other newcomer has before, Maulin Parikh (DJ IMALLIN) has come a long way in a short amount of time. Producing since the age of 16, IMALLIN has set a firm foot on the music world, shaking the scene with his unparalleled skill and style. Transitioning over to creative mixing and DJ’ing, IMALLIN fell in love with the turntables and has been spinning his magic for the past 6 years. Cloaked with an unstoppable passion, he’s been seen lighting the hottest venues in the Chicagoland area on fire. 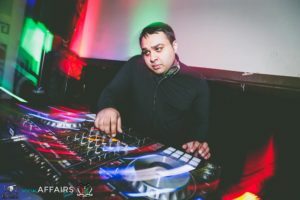 With his eclectic blend of hip-hop and Bollywood, IMALLIN has never left a dance floor empty. Understanding every event and client is different, IMALLIN immerses himself into his craft, ensuring every client is satisfied. As a talented apprentice to Chicago’s DJ Aladdin, DJ IMALLIN has been honing his skills and absorbing everything that the realm of professional DJ’ing has to offer. Recently, IMALLIN had the pleasure of DJ’ing alongside Mixin’ Marc (Marc Stout) while rocking a crowd of over 1,000 guests. Quickly rising as one of the top DJ’s in Chicago, DJ IMALLIN continues to train under the best DJ’s in Chicago, securing a spot for himself alongside Chicago’s musically elite.